Minnesota Judge Eric Lipman found that solar is a better deal than natural gas for Xcel Energy, permitting Geronimo Energy to construct 20 huge solar facilities worth $250 million in Xcel’s service area in that state. The amount of solar power in the state would increase by a factor of 7. The ruling still has to be approved by the Public Utilities Commission. Here’s the kicker: Geronimo’s Aurora solar project will get no state subsidy (it is eligible for a Federal tax break, as are most solar projects including individual rooftop solar panel installations– these have not been affected by the budget uncertainties on Federal wind farm subsidies). This ruling marks the first time that unsubsidized solar has gone toe to toe with natural gas and won (natural gas also receives Federal subsidies). As such, it may mark a turning point. The ruling itself is the harbinger, whether the plan goes through or not. But we can expect Big Oil and unscrupulous billionaire hydrocarbon moguls like the Koch brothers to attempt to block renewables by having pliant right wing legislators slap penalties on them (such Libertarians, they are). Remember that Big Oil and the other hydrocarbon industries get billions in government subsidies. Natural gas prices are at a plateau because of oversupply problems in the US, so that little new drilling was done in the US in 2013. In 2013, in fact, the main reason that US carbon emissions fell to a still fatal 5 billion metric tons a year was not that coal plants were supplanted by gas ones; it was that they were supplanted by wind energy in places like Iowa and Colorado. New gas fields are now often developed through hydraulic fracturing, which is a very dirty technology and is meeting opposition (e.g. in New York, etc.) from the public as a result. It is also very water intensive and so not suited to arid zones. Burning the gas is creating deadly climate instability, so that the viability of solar is very good news for humankind. Even if solar were slightly more expensive than hydrocarbons, it is actually a huge bargain because deploying it won’t, like, inundate Miami and burn up Arizona. The price of solar panels has dropped dramatically in the past 18 months. So much research and development money is now being thrown at photovoltaic cells and other solar technology that the cost per kilowatt hour of solar seems likely to continue to plummet over the coming years, though there will be market fluctuations and silicon’s price will be important until some other material (graphene?) starts being used. But in some markets, such as Colorado, the installed price of photovoltaic panels for utility-scale projects is $3.20 a watt mid-year. By the end of 2013, the average price was $3.06 per watt. Even before the recent price drops, it was estimated that in much of the US a consumer who put solar panels on her house could save $1000 a year in electricity charges. 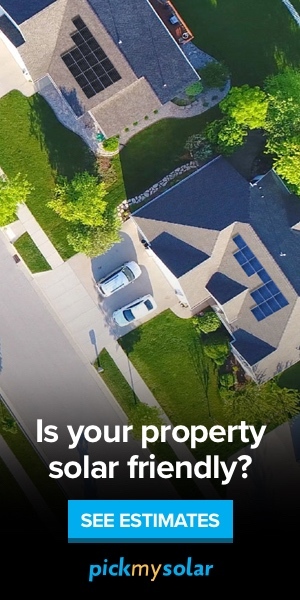 It is certainly more now, especially given the Federal tax break for rooftop solar installation (many states also give incentives, though my backward Michigan doesn’t). The US recently has been installing almost a gigawatt of new solar power every quarter, and has just joined the 10 gigawatt club. (A light bulb uses 40 watts; a gigawatt is a billion watts). All new power generation in November came from renewables. Other signs that the writing is on the wall for dirty hydrocarbons: Through 2020, all new Australian electricity production will be from renewables, mainly wind but 13% will come from large-scale solar. Rooftop solar is also expanding rapidly– a million Australian homes have solar panels— in a country of 22 million with 7.7 million households, that is over 1/8 of them. Japan is putting in 7 gigawatts of solar this year because of its new feed-in tariff and the energy crisis caused by the Fukushima nuclear disaster. And China wants to add a mind-boggling 35 gigawatts of solar generation by 2015; it is building a huge array in Xianjang, the traditionally Muslim area of the northwest, part of the Middle Eastern Arid Zone that extends to the Gobi Desert. Even a conservative state like Georgia is putting in 500 megawatts (i.e. 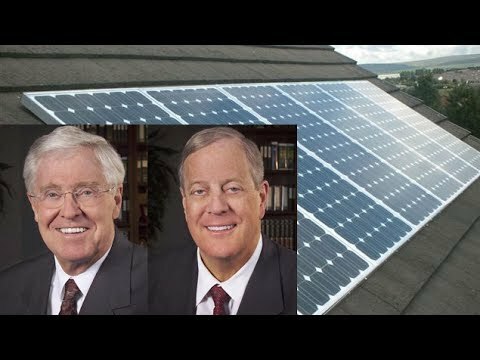 half a gigawatt) of solar, and its energy commission fought off a Koch-Brothers-inspired plan to place a punitive tax on solar panel owners. The world will replace hydrocarbons with solar and other renewables through this century. Unfortunately, humankind needs to launch a crash program and accomplish the transition in only a couple of decades if it is to avoid the threat of climate instability, a threat more potent and more immediate than most people realize. Unfortunately, there is no chance of us making the transition fast enough to avoid potential catastrophe. We can, however, make it fast enough to mitigate the very worst consequences, if we try.